Two world-class boxers, preparing for bouts later this week at the Armory, decided to hang up their gloves Monday morning and visit a Minneapolis homeless shelter. 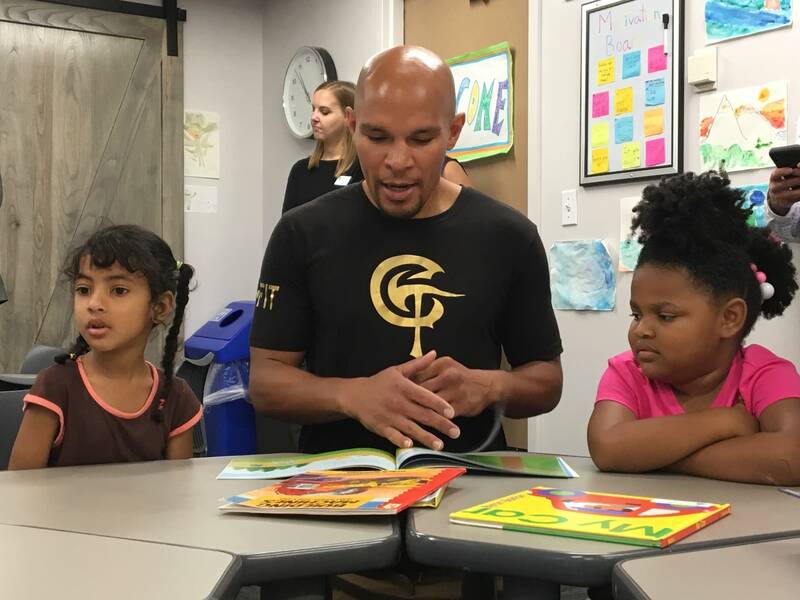 The two fighters, Jamal James and Caleb Truax, sat down with children at People Serving People, a family-focused homeless shelter serving the Twin Cities area. 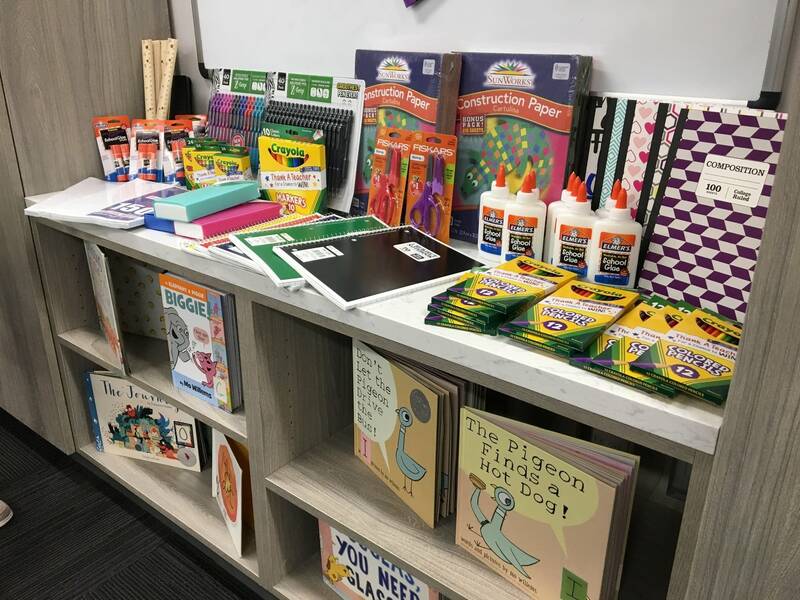 They brought almost $5,000 worth of school supplies and enrichment materials for the children, in preparation for the school year. The materials were donated by the Armory Foundation using proceeds from ticket sales, said the boxers' publicist Robb Leer. James and Truax are both natives of Minnesota. James used to live in north Minneapolis, and Truax comes from Osseo. They are the local headliners of a nationally-televised live boxing event, three blocks away from People Serving People. "They were the ones who came to me and said, 'we want to do something,' and they wanted it to be more than giving out tickets," Leer said. "They wanted something tangible." After delivering the supplies, James and Truax stuck around. They sat at pint-sized tables as children listened to them read stories. 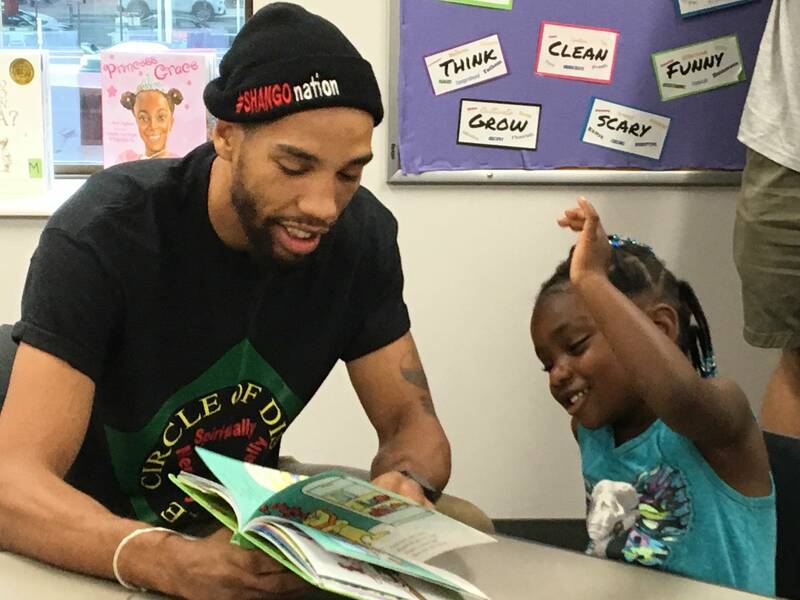 James said reading to kids was in keeping with the mission of his gym, Circles of Discipline. One of the top 10 welterweights in the U.S., James said his time with the kids reminded him of his roots in the community. "With young kids...dealing with the things they gotta deal with. It reminds me not to think that you're too big to give back," James said. Truax, a former International Boxing Federation super-middleweight champion, graduated from the University of Minnesota with a degree in sociology before becoming a professional boxer. "I knew that getting an education and getting a degree was more important in the long run than turning pro," Truax said in a press release statement. "It's something that nobody can take away from you. It's the most important fight you will ever have." James will be facing off against Mahonry Montes from Mexico, and Truax will take on Fabiano Pena of Brazil on Friday night.